MainAll NewsRadioWhy is the illegal Bedouin village still intact? Why is the illegal Bedouin village still intact? 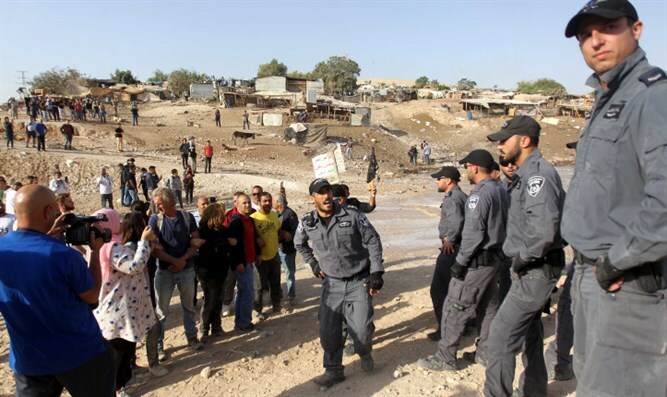 The saga of the illegal Bedouin village of Khan al-Ahmar continues. After nearly a decade, the saga of the illegal Bedouin village of Khan al-Ahmar continues. Over the weekend Prime Minister Binyamin Netanyahu delayed the evacuation of the illegal squatters’ colony adjacent to Highway One between Jerusalem and the Dead Sea. He promised that one day it will be taken down, but now as a result of his capitulation to foreign demonstrators, nobody knows when that will happen. Joining Josh Hasten on this week’s Israel show is Naomi Kahn, the Director of the International Division of the Regavim Organization, a group committed to safeguarding Israel’s state lands. The two discuss this latest development on Khan al-Ahmar.